GRANT: Eco Barge Clean Seas project co-ordinator Fiona Broadbent, founder Libby Edge, Senator Nigel Scullion and Member for Dawson George Christensen. REEF warrior Libby Edge will be able to upgrade the equipment she desperately needs to keep on with the job of cleaning up marine debris and saving turtles, thanks to a Federal Government grant of $75,000. 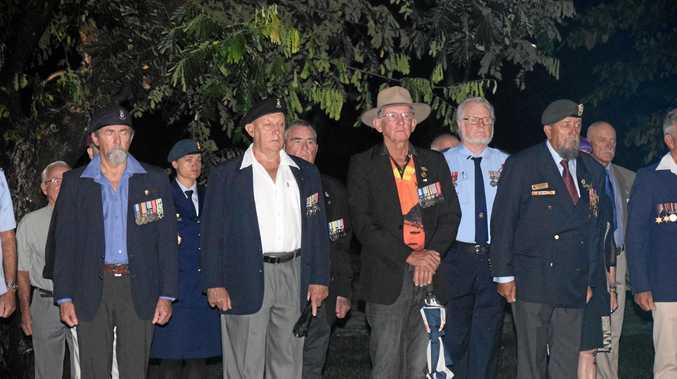 Federal Member for Dawson George Christensen was joined by Indigenous Affairs Minister and passionate advocate for marine workers Nigel Scullion in making the announcement in Airlie Beach on Monday. 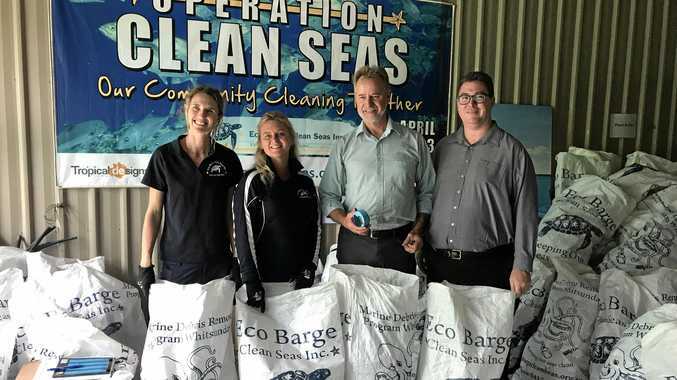 "I am a big supporter of Libby Edge and her organisation Eco Barge Clean Seas, because of the ongoing practical work she does to keep our Whitsunday islands and the waters surrounding them clean of marine debris,” Mr Christensen said. "Libby also runs the turtle rescue centre here and works with a dedicated team of volunteers to rehabilitate these marine animals and then return them to the sea. "In addition to that Eco Barge Clean Seas play a key role in educating the general public on keeping our seas clean. "I am delighted today to announce a Community Development Grant of $75,000 for the purchase of both a new purpose-built trailer and a bigger vehicle with the horsepower to tow it - probably a Landcruiser - but I will leave that decision to Libby. "This group undertakes a power of work with limited resources, and I am happy to once again, do whatever I can to ensure Eco Barge Clean Seas gets a helping hand.